We have had almost 100% good experience with them, with some minor exceptions. They are a really great company, and I have used them for many years. I can't say enough about them. The contact person is really great to deal with. Domenike is super, personable, and reliable. They can handle anything I give them, including a rather large commercial property. Eloy, the owner, is very knowledgeable and easy to work with. Actually, that Eloy is knowledgeable and reasonable in prices and easy to work with. 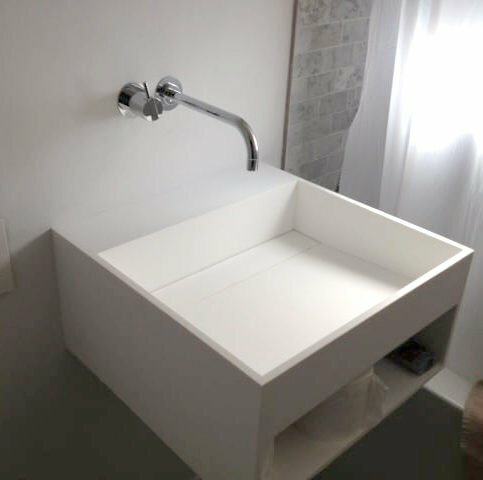 Baeza Plumbing Service provides a wide range of plumbing services for residential clients in Monterey, San Benito, Santa Cruz and Santa Clara Counties. The company has the training and equipment to work on everything from toilet and faucet repairs to comprehensive re-piping projects, and its technicians are available 24/7 to handle plumbing emergencies. Key Brands: American Standard, Fluidmaster, Moen, Mueller Co.
Baeza Plumbing Service has been providing plumbing services for residential clients in Monterey, San Benito, Santa Cruz and Santa Clara Counties since 2012. The company has the in-house capabilities to work on everything from toilet and faucet repairs to comprehensive re-piping projects, and it also offers 24/7 emergency service for the convenience of its customers. If you’re installing copper piping in your home, make sure you understand the differences between pipe products. Homeowners who have quality and value in mind often choose copper piping for their re-piping projects. Copper is the gold standard in water piping—as a reliable alternative to plastic and galvanized pipes, it stands up against leaks, doesn’t add pollutants to water and has a long lifespan. It can be more expensive than other types of piping, but the value usually outweighs the cost. Q: How soon can you start my plumbing job? Q: Will you give me a free estimate? 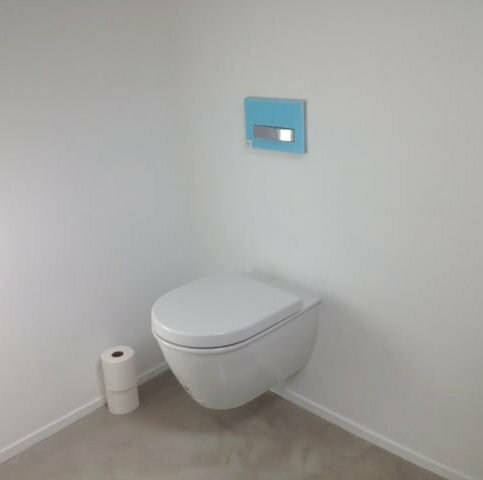 Q: Should I install a tankless water heater? Q: Is copper piping a good choice for my home? 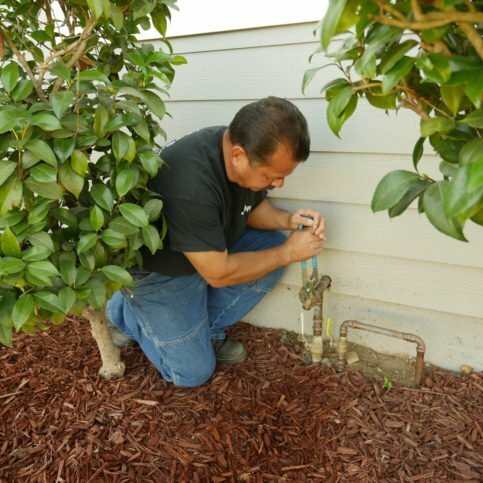 GILROY — When a catastrophic plumbing leak occurs, you need to act fast to minimize the subsequent damage. Before calling a plumber, your first move should be to go outside and turn off the water at your home’s main shut-off valve. A home’s main water valve is usually located just outside the home. In most cases, there will be a direct line from the water meter at the sidewalk to your shut-off valve. 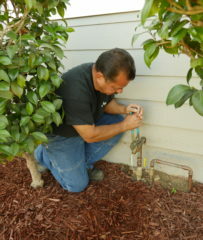 In order to act fast in an emergency, every homeowner should know where their water meter and main water shutoff are. Take a few minutes to locate these so you won’t be stuck looking for them when you need them. In addition to shutting off the water to your home, it’s a good idea to open up an exterior hose bib. This will relieve the pressure to the water going into the house and help reduce any further leakage. When you’ve successfully shut off the water, call a plumber to come out and repair the leak. GILROY — Host, Sarah Rutan: In the event of a catastrophic plumbing leak, you’ll need to act fast to minimize the subsequent damage. Today we’re in Gilroy with Diamond Certified Expert Contributor Eloy Baeza of Baeza Plumbing Service to learn more. Diamond Certified Expert Contributor, Eloy Baeza: You have a water leak in your house. You know, most people tend to look underneath the sink and look for the valve to shut it off. It’s their first reaction. Don’t do that. Come right outside. This is your water main shutoff. It should be in direct line with your water meter. Always know where your water meter is. Take a minute of the day, learn, find out where this is. Run outside, shut it off, open up the garden bits. This will relieve the pressure to the water going into the house, stopping the leak. Then, at that time, you can call someone to come and take care of the leak and get it repaired. But at least you’re not going to be damaged, right? Baeza Plumbing Service : Average 9.5 out of 10 based on 29 unique customer surveys of customer satisfaction. They were a reliable and fair priced company. I would say the personal service stands out, and they are also very friendly. Try them, you will like it. Anytime I need them in a crunch, they are right there and they will even set aside customers to meet me. I have been passing his card around to everyone I know. He is friendly, courteous, and on time. They are very good with a rapid response time. I would say hire them. Their great customer service stands out, plus they were quick and very helpful. 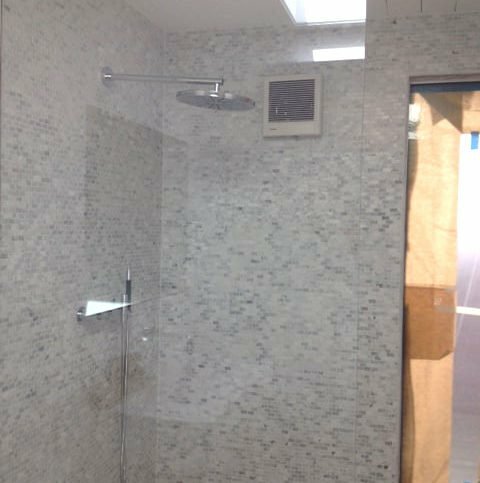 They are knowledgeable and the pricing is reasonable. I would say they are one of the most knowledgeable plumbing companies around for residential and commercial properties. I would say the quality of their work. They are professional, and they communicate their expertise very clearly. I really like that they pay their technicians hourly instead of adding to the overall estimate. They are very consistent and honest. They are a husband and wife team essentially. The wife is a property manager, so that really helps in this business. I would tell people to use them. There was a time when Eloy was going to branch out to include new jobs, but has since stayed with repairs. He is very detailed and upfront. He also explains things to you so that you understand a particular situation. He has also imparted other useful information that we may not have known. If you are in the Bay Area or Peninsula, they are one of the best plumbers to use. Their timely and quick response when I tell them about a plumbing problem. They are good and they do the job right. They are easy to talk to and he understands the situation. I have recommended them to other people. Eloy is very helpful, kind, and thorough. They are also reasonably priced. Eloy and Domenike are very thorough, dependable, and informative. They don't try to up sell in any way. They have done quite a bit of work for me and the other real estate agents in our office. They have done work for us for a number of years, and we are very satisfied. They are very professional, and they do a great job. Eloy is very timely, and if he finds something that was not obvious in the beginning, he always lets me know before proceeding. They are reliable and they are my go-to contact for a plumber. They are sufficient in their work. I would definitely recommend them. They do great work. They are very good on all of their jobs. I would definitely recommend them, and I have recommended them. I'm also a contractor, so I use them for a lot of jobs. They always do things right and always up to code. They are also great with scheduling, they just come in and they get the job done.